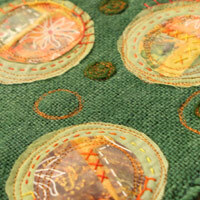 Enjoy the best mixed-media stitch techniques and projects from The Mixed-Media Workshop Season 200. Hosts Julie Fei-Fan Balzer and Jenn Mason are back to show you how to create stunning art using the latest and greatest mixed-media techniques and materials. Check out these great collage and assemblage projects from Season 200 of The Mixed-Media Workshop. stitching and found metal objects. 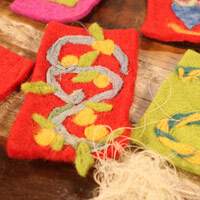 with fabric to easily create appliques, quilts, and more. fabric with virtual guest Jane LaFazio. machine to make your next project a breeze. and unique textiles with Leslie Tucker Jenison. fabric and a machine sewing. 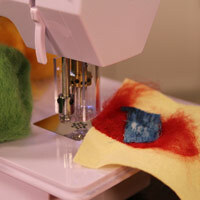 I Love to Create with Tie-Dye: Use tie-dye in your next project to add vibrant color. Order or download your copy of Season 200: Best of Mixed-Media Stitch today!